OK, it is one week before I commence a journey to Kuala Lumpur for the increasingly misnamed DeBAKLe 2013 (yes guys, I am still planning on attending – working out travel logistics this weekend). 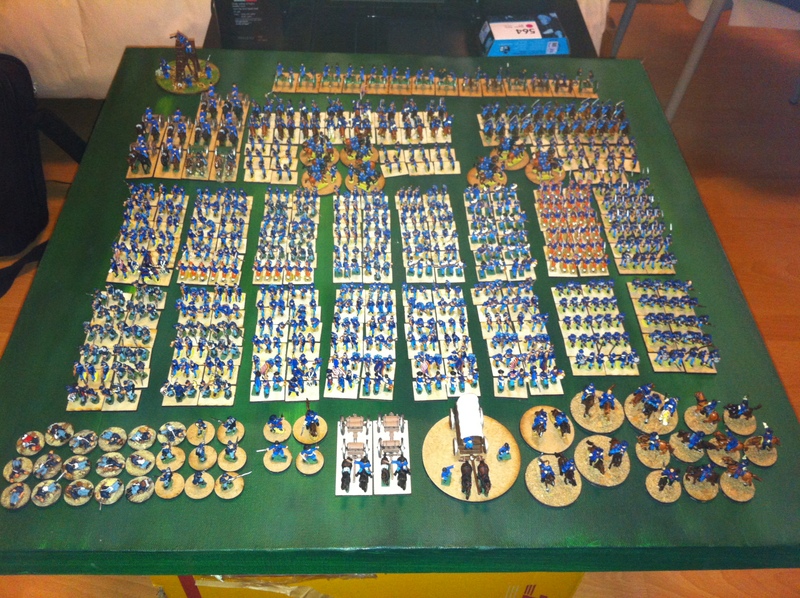 As it is seven days to go, I thought it was about time I thought seriously about the army I plan to paint and take. I had looked at some possibilities and had narrowed the field down. Now with the pressure of a limited time period in play, it’s time to get serious! 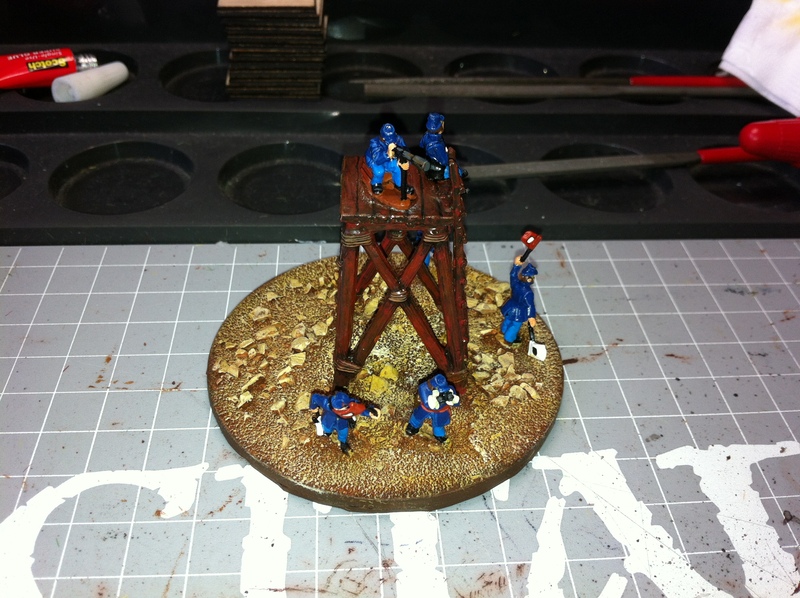 The Khmer are based, undercoated and one element is already complete (the Maiden guard was my test base for colours etc). 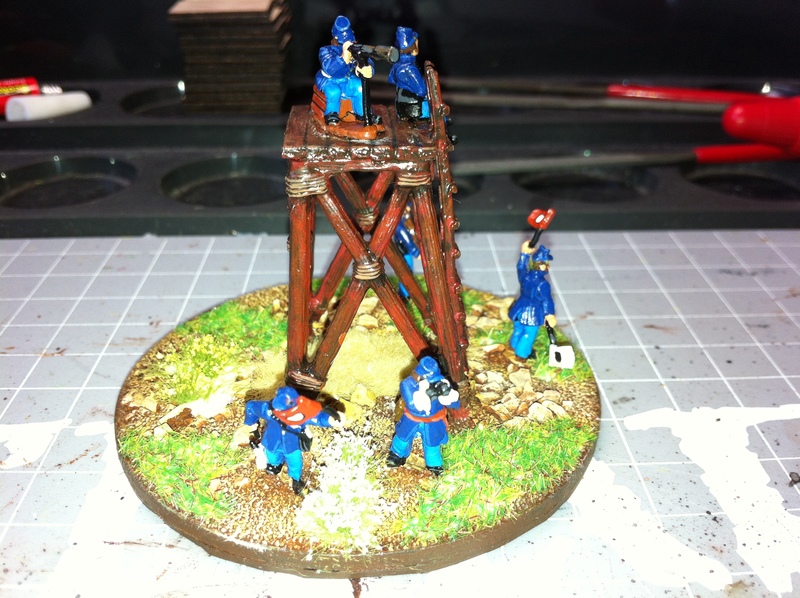 Whilst I like the idea of an Asian Army for DeBAKLe 2013 and whilst the Khmer will be very pretty when I finish them, I do have some repair work to do already. The umbrellas either need to come down or I need to add a brass wire umbrella pole (umbrella pole? Hmmm, and English is my first language). This will probably also be the heaviest army to transport with the weight of the elephants. 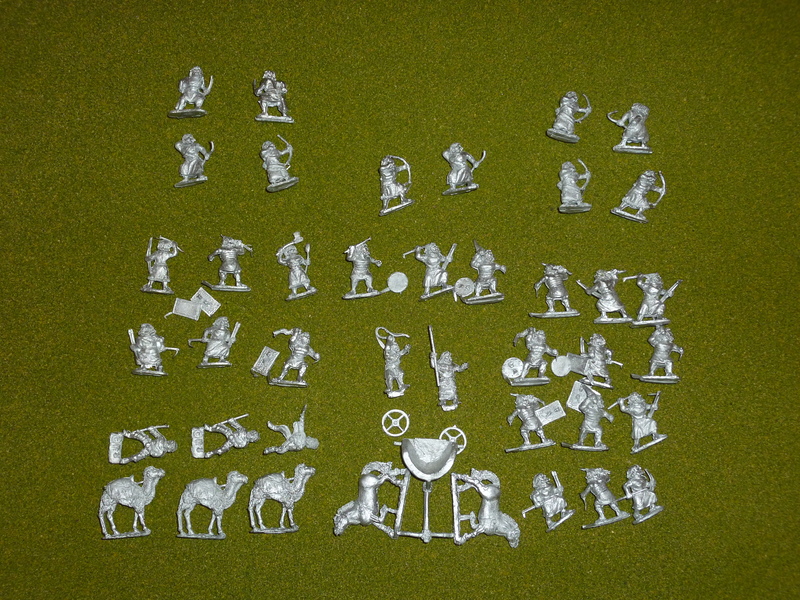 Still, I can see this being a nice army – figures are from Irregular Miniatures. A short-priced favourite to take, ancient Nubians. 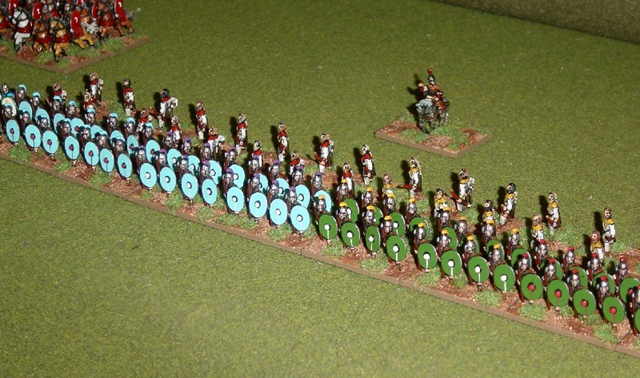 The army is from the old Gladiator Miniatures (now Black Hat Miniatures). These have the advantage of not being powerful as an army and therefore perfect for a competition like DeBAKLe 2013 (or so the guys in Kuala Lumpur assure me) as well as being light to carry and likely quick to paint. Finished, I think they will look very nice. Option 3 is another Gladiator army – this time, Early Arabs. 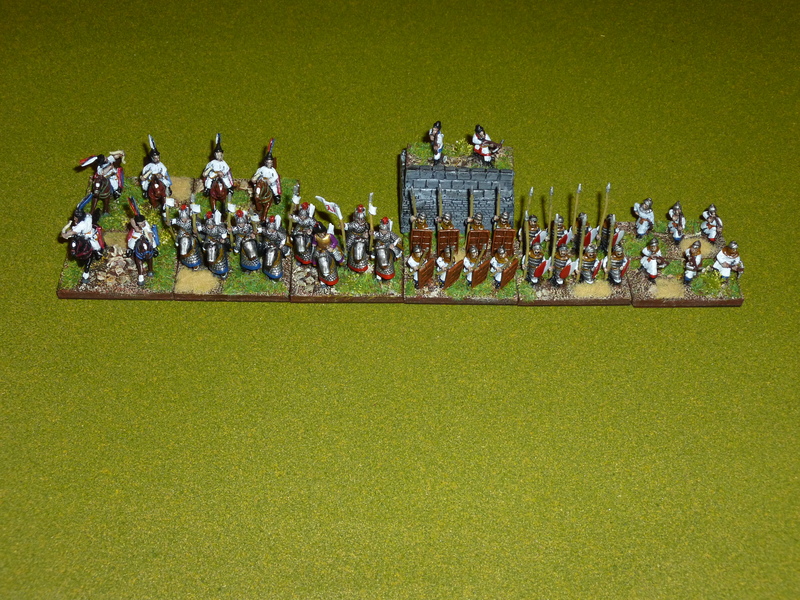 This is a mix of Auxilia and Psiloi with a Light Chariot General and some camels as its main strike force. Yeah, this is powerful … not! It will look good however. 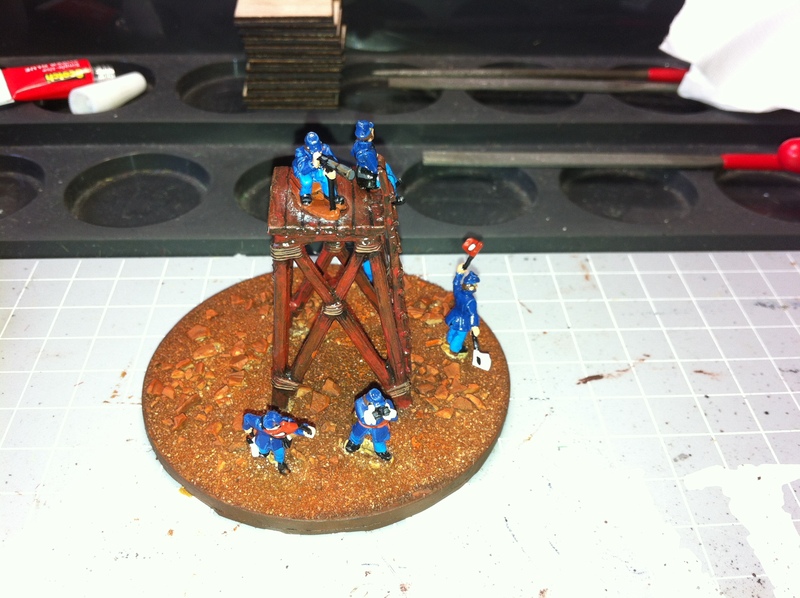 Still, if I can get unlucky with the dice and roll low for Attacker/Defender then place more sand than you can see in a KL building site, this army might do OK. 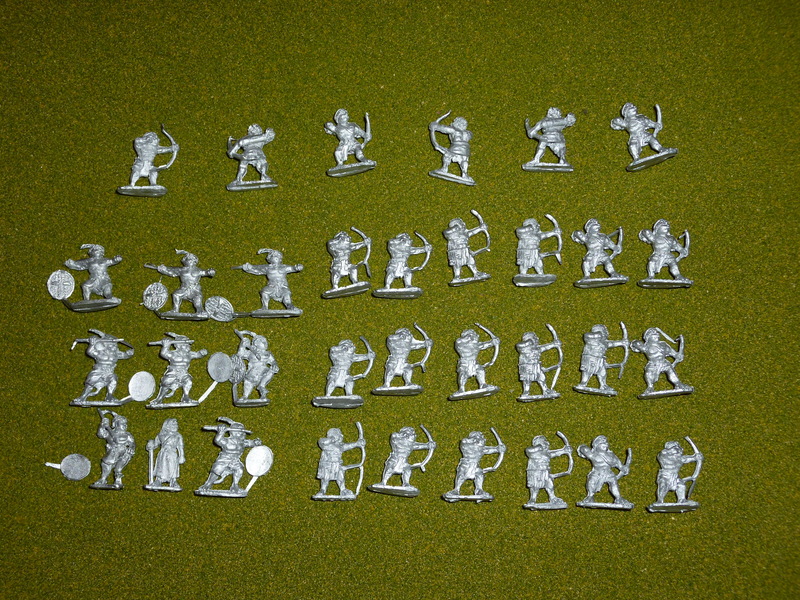 The Slave Revolt Army (Spartacus edition) from Essex Miniatures is a nice collection of Roman looking figures and wild(ish) Gauls. 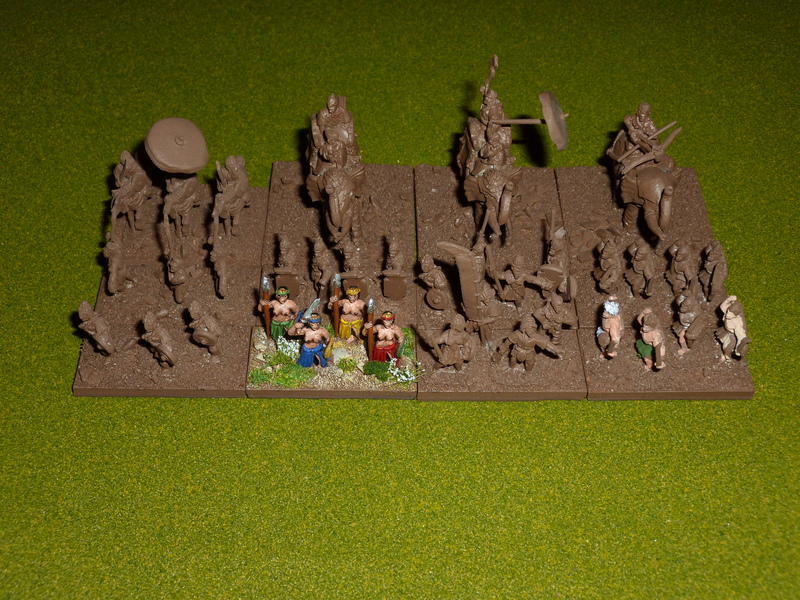 Actually, the Gauls look pretty sedate but it will end up being a good looking army when finished and should, with its mix of blades and warband, give any budding Crassus a difficult time. This army has the most figures to paint of all the possibles. And now I present … plan B! If I can’t get one of the above decided and started tomorrow and then well underway paint wise by Monday night, ready for varnishing Thursday night, then it may well be time to take the Koguryo Koreans north. 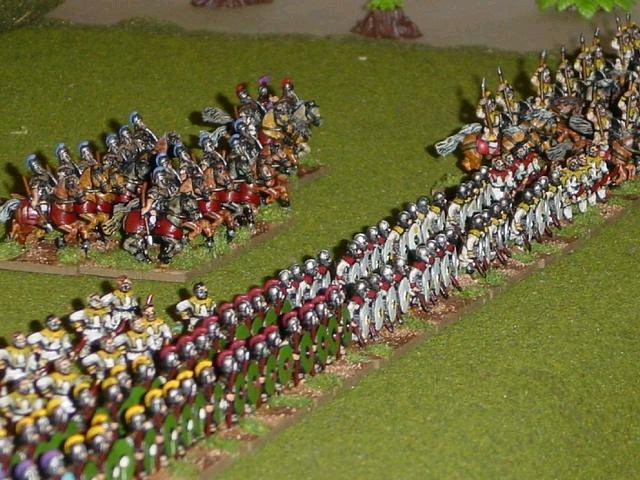 A mix of knights, spears, bows and light cavalry suggests that as an army they will perform well and at Cancon 2012 they placed firmly in the middle of the field so not that impressive as an army goes. 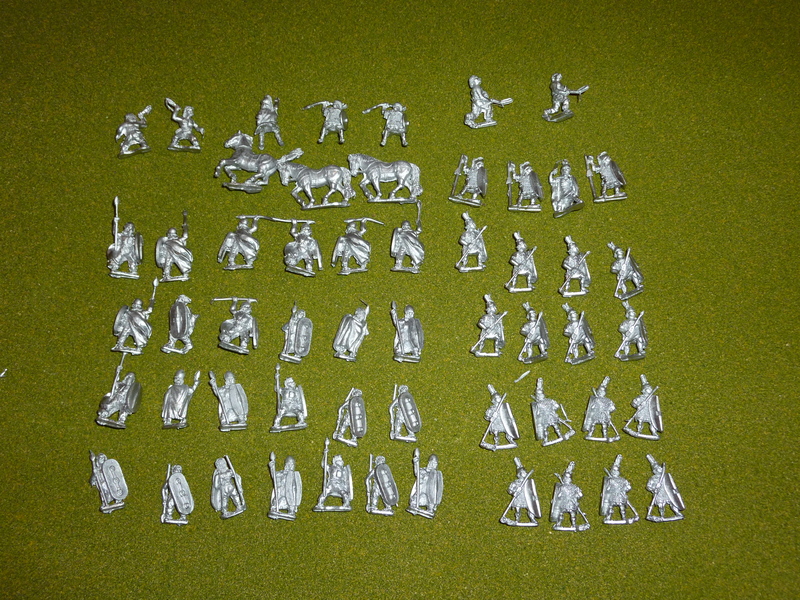 Having said that, the Alain Touller Miniatures are very nice and the army looks good in white. Right then, that’s where we are down to in the selection process. Anyone, especially in KL, have any favourites that they want to see at DeBAKLe 2013? David, I’ll contact you later when I work out the travel arrangement and whether the entourage has decided to come to KL that weekend as well). So, that’s where we are up to. Next post will be as I consider the army for increasingly misnamed DeBAKLe 2013, on in February 2014. 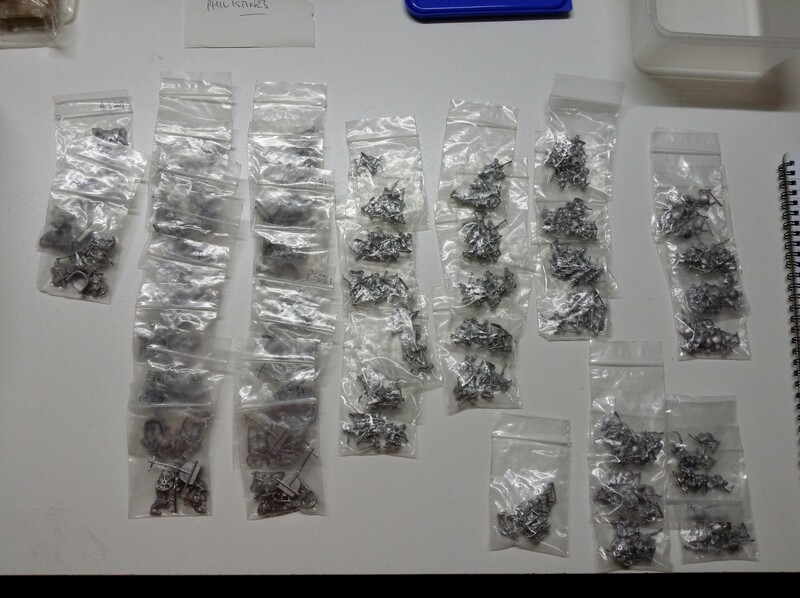 After which, more of the lead pile and then, a summary of 2013 and a plan for 2014! 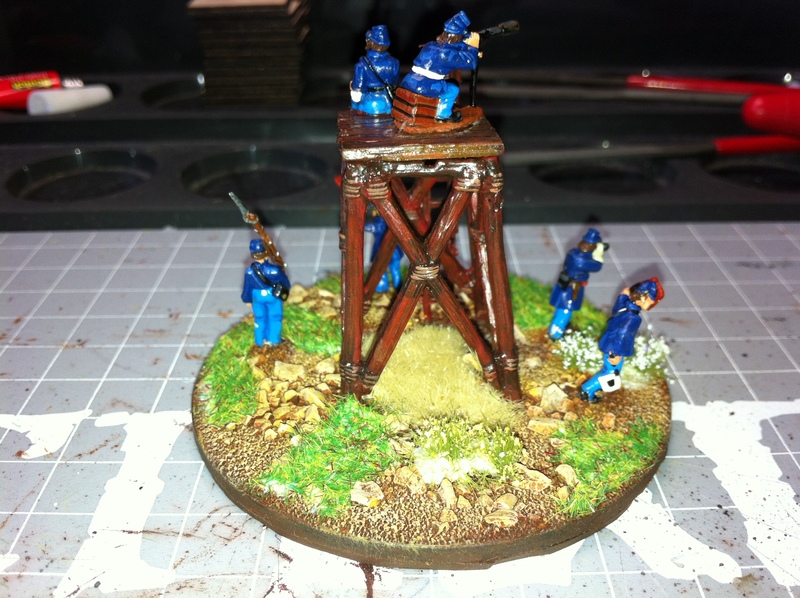 My test piece, a signal tower, for the Union 15mm ACW army I’m putting together is finished. 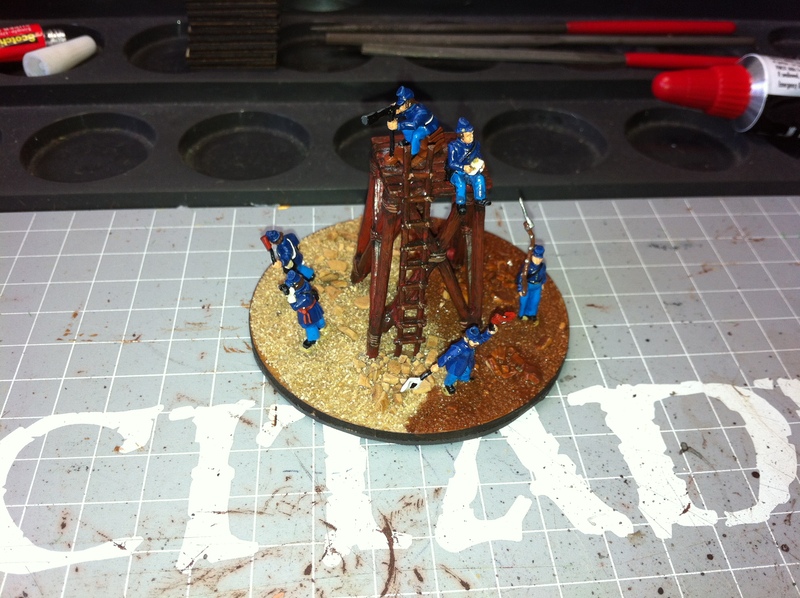 I tested the basing on it today. 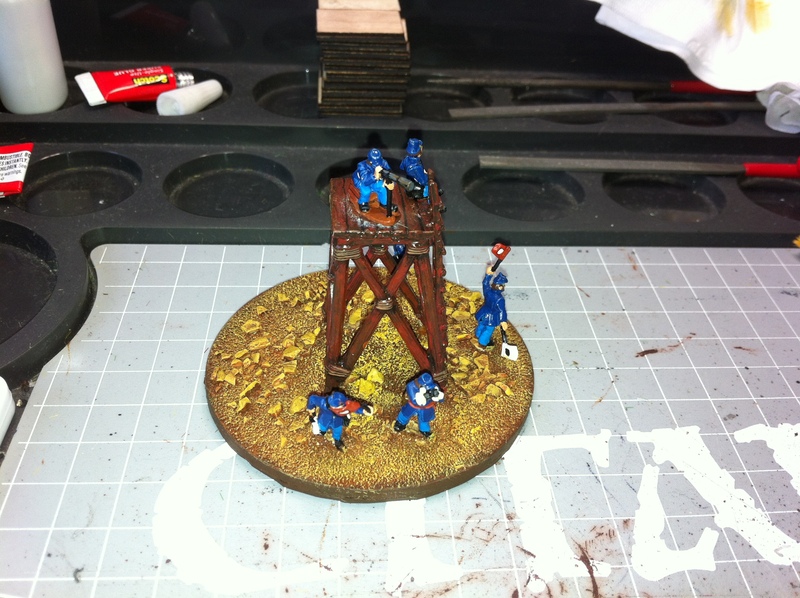 The bases were covered in sand and some small rocks. Then just using ordinary acrylics from Art Friend here in Singapore the bases were covered in a sloppy mix of dark brown, then dry brushed with a red brown, then a yellow brown and finally an off-white (each dry brush layer was applied a little more lightly. Glade green and yellow grass was then applied with the lot finished off by the addition of some meadow flowers. Done! and lastly an off-white dry-brush is very lightly applied across the top of the base texture. Yellow grass and a green static grass are now applied in clumps. 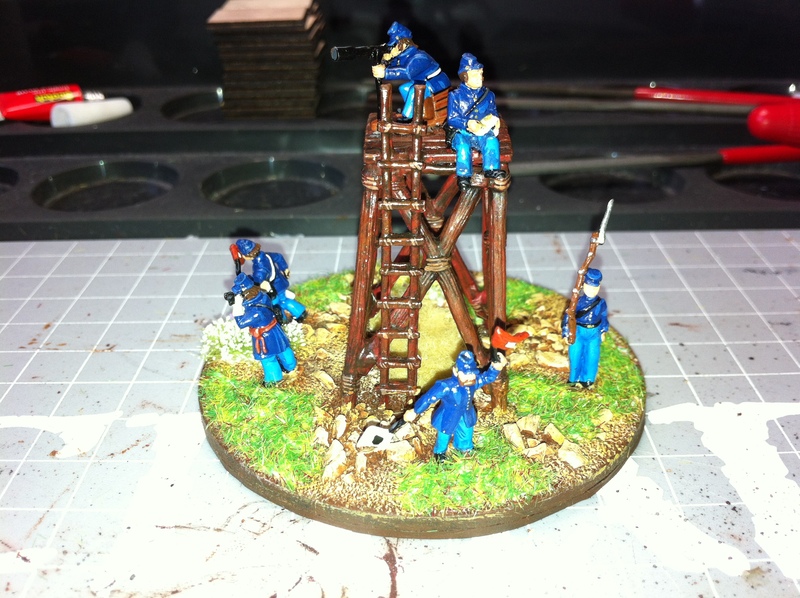 Lastly some meadow flowers (from the Army Builder range) are added. These give a great touch but only a clump or two should be used here and there. Too much and it looks like a hippie festival battle. Essex in the UK had a sale recently. 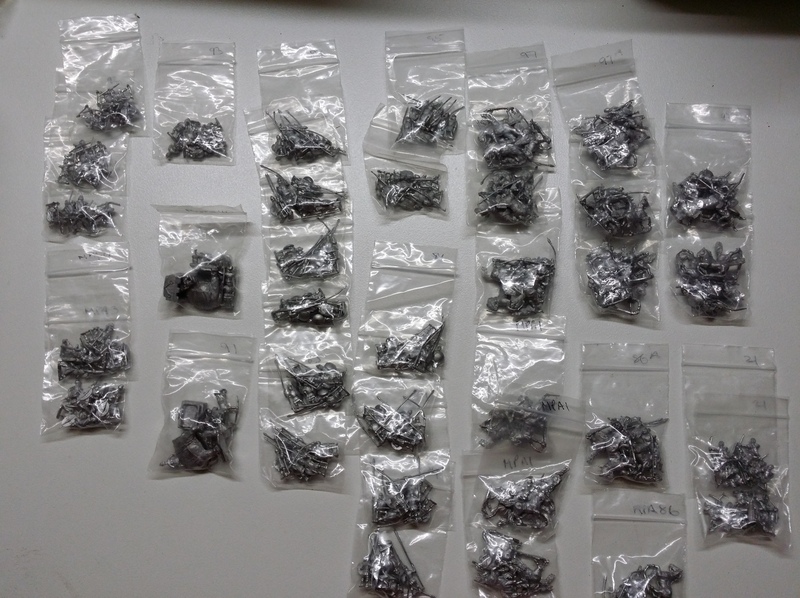 They were offering three 15mm DBA Armies for the price of two. Given the Aussie dollar’s stellar performance against the pound sterling it was too good an opportunity to pass up. I purchased. I was looking for something fairly late and recognisable. I ended up settling on army IV/66 Later Polish (1335-1510 CE). This seemed like an interesting mix of elements and troop types – knights, war wagons foot and such. It also reminded me of my trips to Warsaw, Lodz and other places when I worked in Europe – loved the Poles. The second army that arrived was army IV/22 Serbian Empire (1180-1459 CE). At this stage the Serbs were an ally of the Poles and so would make a nice addition to the collection when the chance for a big battle DBA rolled up. They were a similar but distinct mix of troops that would sit well with the Poles. The third army was IV/43c Later Hungarian (1397-1526 CE). The Later Hungarians were near enough to the Poles and the Serbs to both be complementary whilst looking different as well as being a nice army in their own right. 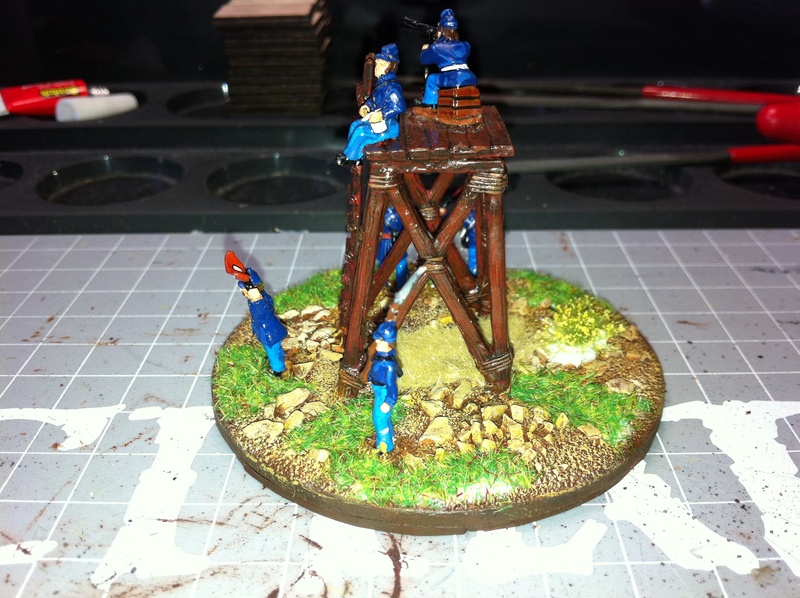 After all the painting I have been doing recently on 6mm, 2mm, 1/1200, 1/2400 and 1/3000th scale figures and vessels, I am quite looking forward to painting these guys up. I’ll put up more information about these as I get it together.